Comments: This is likely the most popular selection of verbena today. 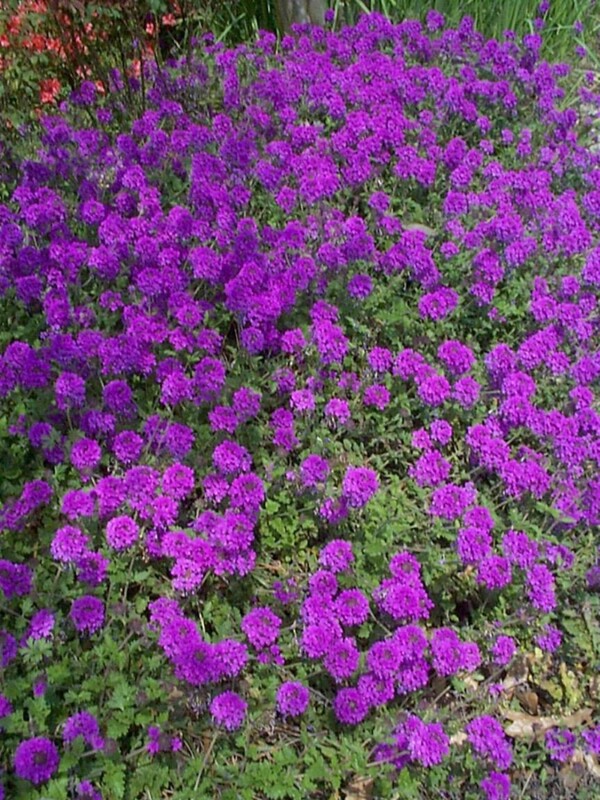 It produces a mass of purple flowers over a long period from mid spring through the summer. Provide a well drained soil and full sunlight. Is fast growing and can cover a small sized area quickly. Spider mites attack verbena at times.